Two news agencies journalists came under mortar fire from the Ukrainian forces in the town of Debaltsevo, local militia said on Wednesday. LUHANSK (Sputnik) — Journalists from two news agencies came under mortar fire from Ukrainian forces near the eastern Ukrainian town of Debaltsevo, local militia said on Wednesday. "A group of journalists went to shoot a news story about soldiers living in the seventh detachment of the LPR [Luhansk People's Republic] People's Militia. Later, as they moved toward the LPR positions on the contact line, at that moment they came under mortar fire and unsighted sniper fire," LPR's People's Militia headquarters said, emphasizing that journalists were not injured. The journalist were from two news agencies, Anna News and News Front. News Front is independent agency, officially registered in Simferopol, Crimea. Anna News is an Abkhazia-based media outlet. 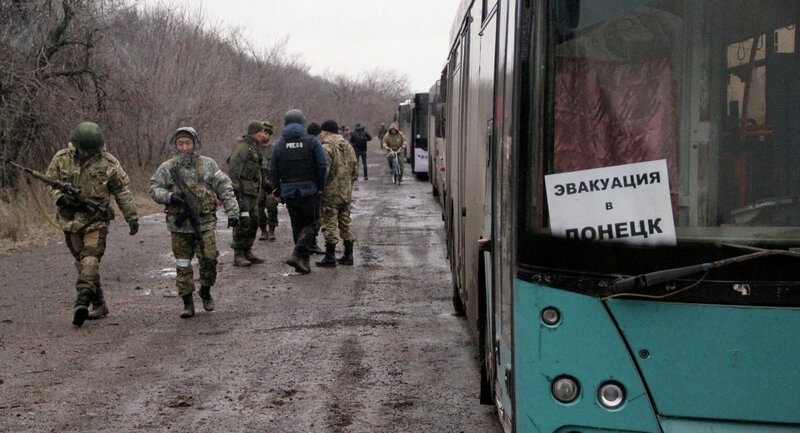 Southeastern Ukraine has been the scene of a conflict that erupted as a result of a military operation against local independence supporters launched by the Kiev authorities in April 2014. In February, the warring parties signed a deal on Ukrainian reconciliation in the Belarusian capital, Minsk. However, numerous ceasefire breaches have been reported in Donbas since the Minsk peace deal was signed.